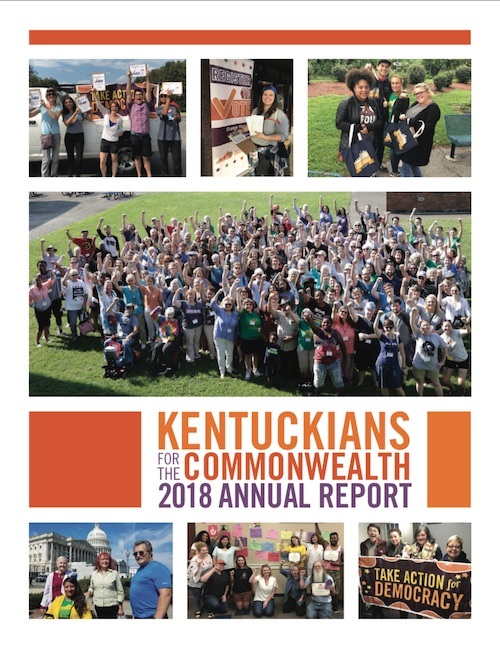 A set of helpful facts and messaging on the economic justice issues of public pensions, the state budget, and adequate revenue in Kentucky in 2018. A searchable spreadsheet of every tax expenditure (all $12 billion worth) in Kentucky and how much tax revenue we lose because of each. This is a printable version of the RECLAIM Act petition. The page can be printed front and back, or front only. Kentucky Voices for Health has produced this fact sheet and set of talking points about Governor Matt Bevin's harmful Medicaid Waiver proposal. The public comment period is open through midnight on August 2. Written comments can be submitted to kyhealth@ky.gov. Two public hearings will be held on Friday, July 14, 10 a.m.-12 p.m.
Keep yourself entertained with a game of BINGO while you watch Governor Matt Bevin's State of the Commonwealth and budget address on January 26. This is a guide on tabling for KFTC written by Madison County chapter member Jonah Cabiles.